Browsing the web you find all sorts of good stuff that is fun to share. I’m not talking about the winner of the Darwin Award or the staged picture of little kids whacking dad with a bat in the…, well you know. I’m talking about cool interesting stuff you can store away in you mental rolodex and pull out to impress friends at your next off road outing. 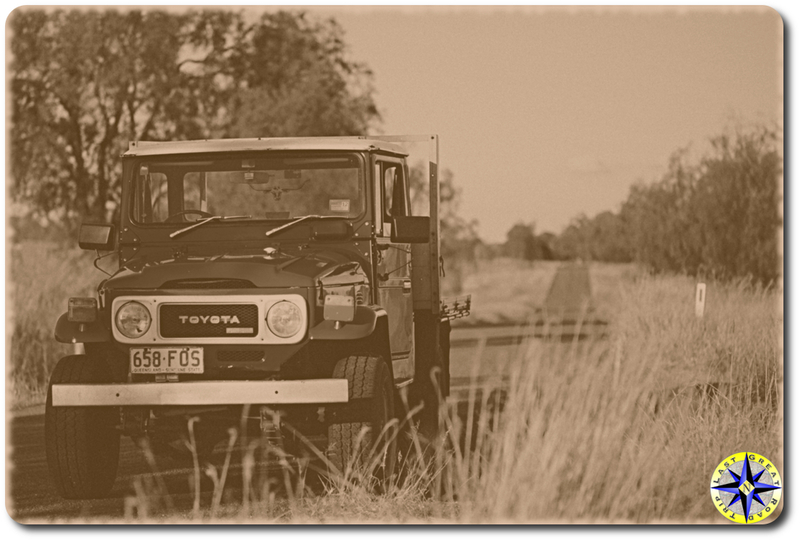 To that end, Toyota put together a nostalgic look at the heritage of the Land Cruiser (at least until they took it down). You would have seen how the Land Cruiser is referred to as Shamowang “King of the Desert” or how Hollywood failed to blowup a 40 series despite several tries. Their Land Cruiser time line ended with 2005, showing a glimpse of the FJ Cruiser in concept with the statement “Will the FJ Cruiser become reality”. We’re glad it did. The FJ Cruiser is helping to make our adventures a little bigger and the world a little smaller.